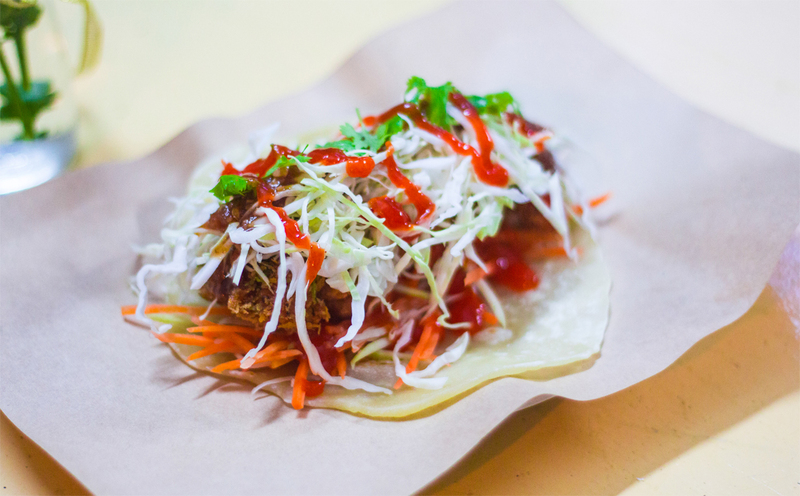 A Taiwanese founder opened a coffee shop selling Taiwanese food (like Gua-Bao or Egg rolls). 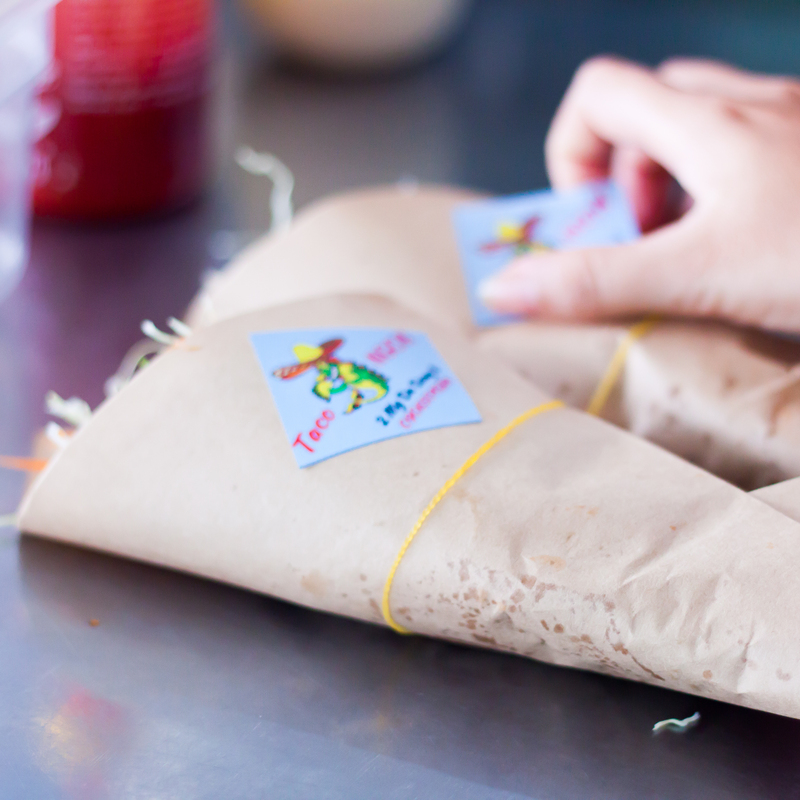 Unfortunately, it didn’t succeed because of location problems and the fact that no one knows about Taiwanese food. 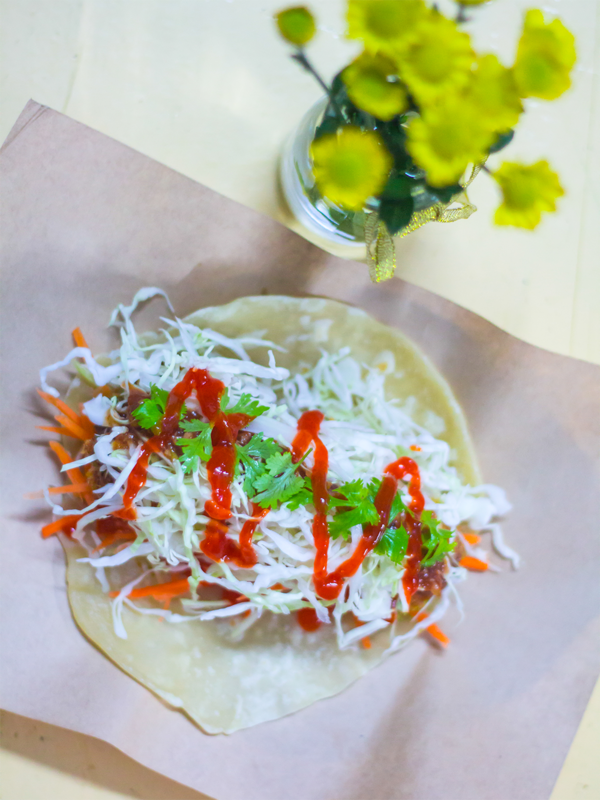 Accidentally, she came up with a new idea about tacos filled inside by Gua-Bao beause everyone knows about tacos. 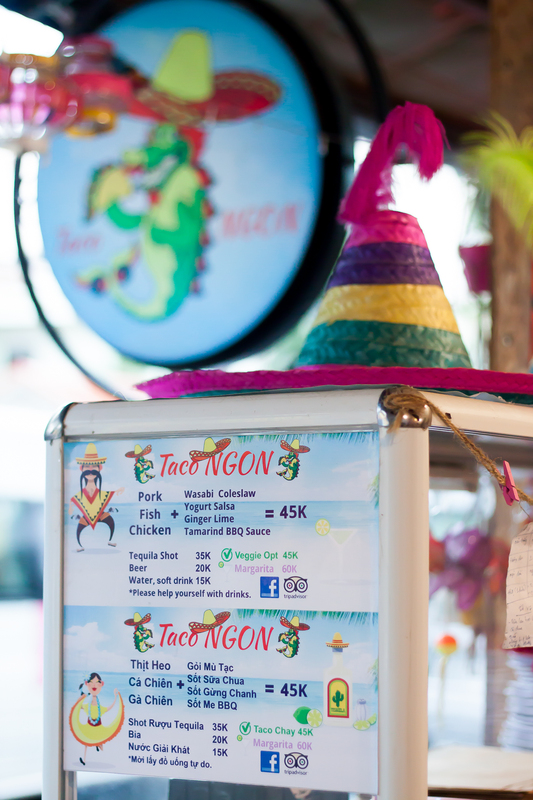 Taco NGON story began by a Taiwanese named Ellin – Our big big boss. 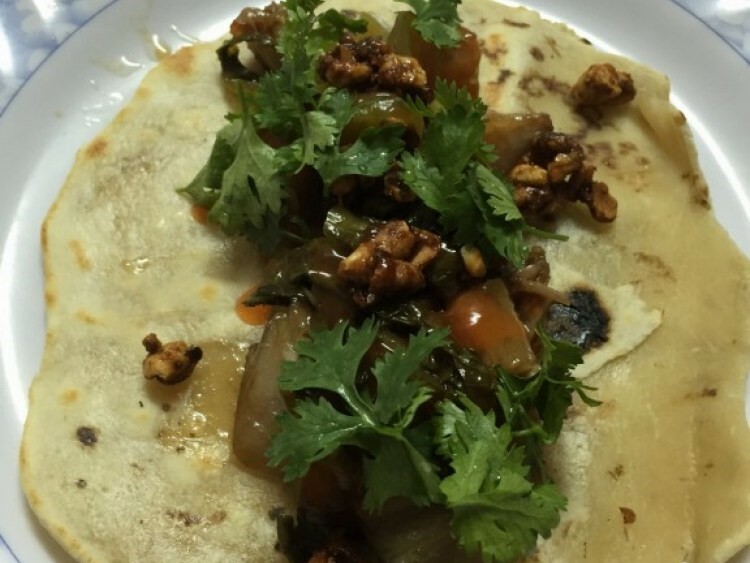 She asked her housemate, who is a chef at a 5 star resort, to taste it. He said it’s too salty, and that she should put something to refresh the flavor. That is the idea of Wasabi Coleslaw and Yogurt Salsa with Pork. It looked like image above. In Vietnam, there are not many rules if you just do something small. Everyone can do an own business as long as you have an idea and actually do it. Afterward, she kept up with another chance to selling food again by opening a small shop on the sidewalk. 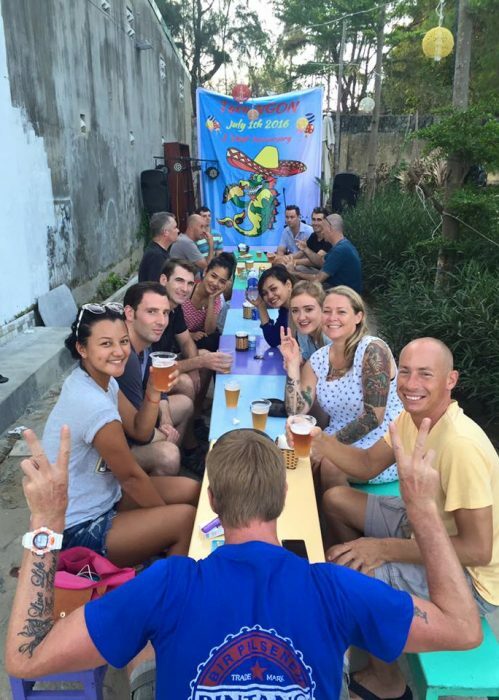 After 3 months, she needed to settle a place which maybe small but she and friends can enjoy tacos together each weekend. Therefore, she rented a little plane at 60 Chau Thi Vinh Te, Da Nang. 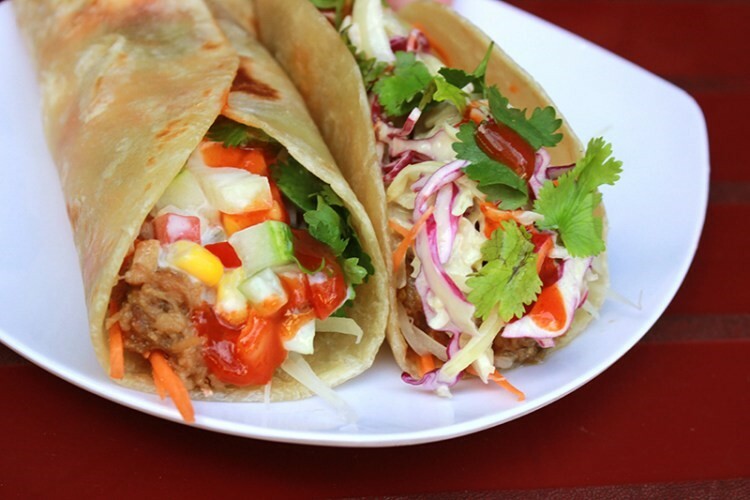 A friend suggested her try fusion tacos with fish to celebrate the new shop. 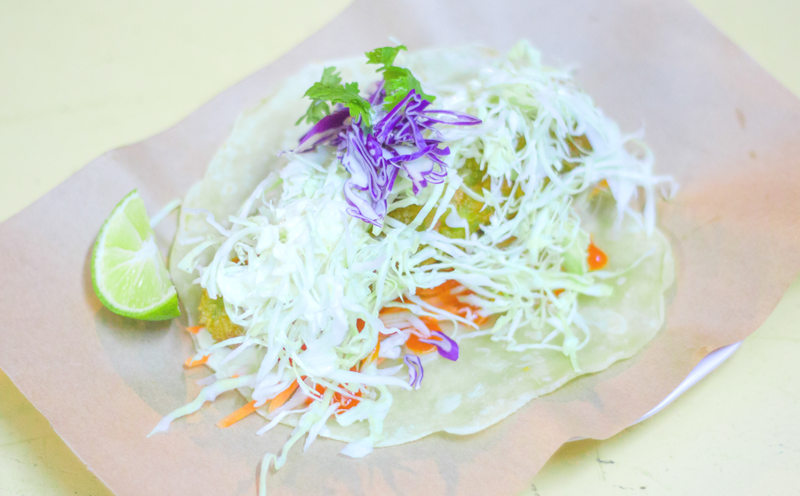 And this is the Fish Ginger Lime idea to counteract the Yin-Yang imbalance in Tacos between Fish (Yin) and Ginger (Yang). 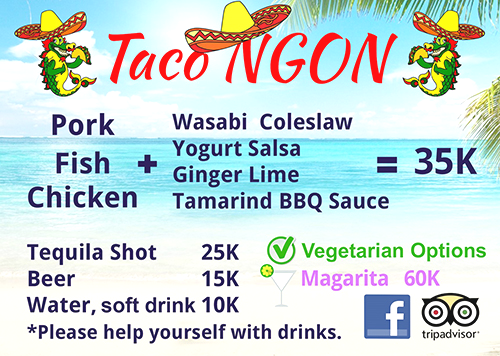 That is the Taco NGON story. 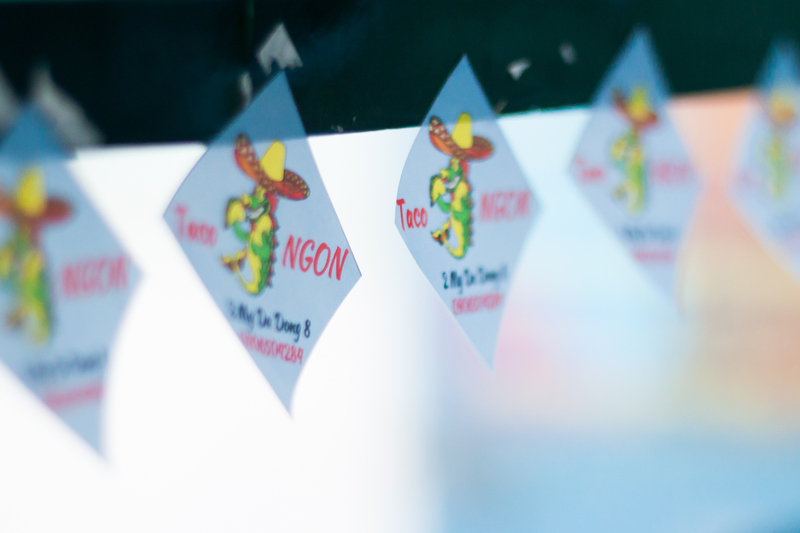 PS: ‘NGON’ means ‘delicious’ in Vietnamese.